Dr. James H. Carson served the people of Martins Ferry tirelessly. As a physician at Martins Ferry Hospital, Dr. Carson was recognized as one of the area?s best in the field of coronary medicine. Always interested in hospital administration, he served on the Martins Ferry Hospital Administrative Board and was an integral part in the development of the hospital?s intensive care unit. 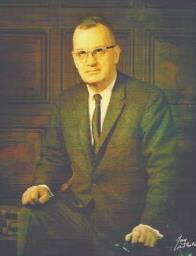 Dr. Carson dedicated much of his time to community and civic functions which improved and protected the lives of the citizens of Martins Ferry. 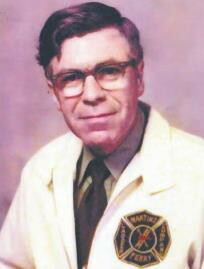 He served as a member of the Liberty Engine Company as well as emergency squad physician for 29 years during which time he instructed his fellow volunteers on the latest emergency treatments. Dr. Carson served as the city?s Civil Defense Director visiting local civic and fraternal organizations to deliver hours of civil defense instructions. 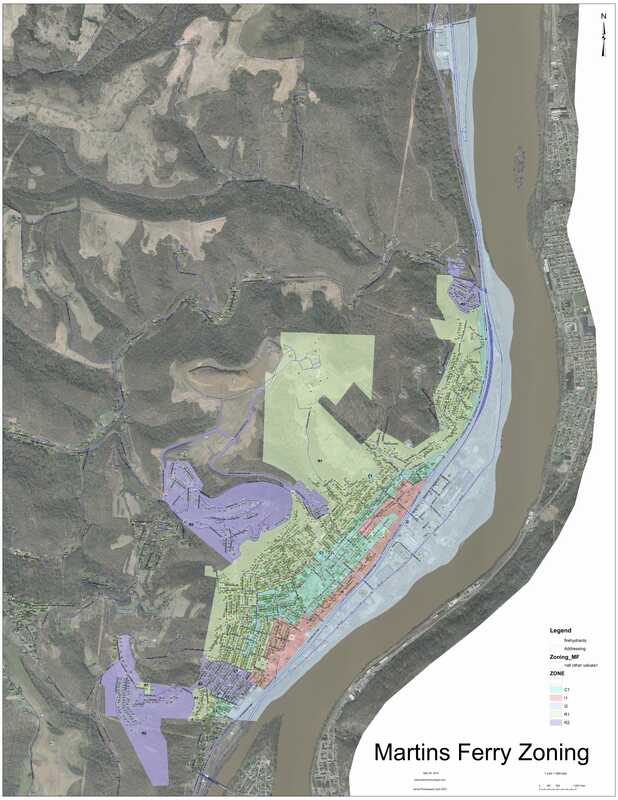 His civic generosity also included Vice Chairman of the Martins Ferry Citizens Advisory Board and Medical Director of the city?s Continuous Health Screening and Health Assessment Clinics. In his eulogy to Dr. Carson, Mayor John Laslo referred to the physician as ?Mr. Martins Ferry? for his involvement in so many community services. Harold ‘Hoot’ Gibson was born October 10, 1922 and was described as a quiet, shy, and religious man who loved his church and fire department. ?Hoot was a very active member of the First Methodist Church in Martins Ferry where he served for years as the head usher and belonged to the men’s group. ?Hoot also loved the Martins Ferry Fire Department where he joined the Hook & Ladder Company on October 5, 1954. ?Hoot served as a three time captain and caretaker in the Ladder Company and enjoyed endless hours of washing and waxing the ladder truck. On Thanksgiving Day, November 24, 1977, a fire erupted in the Briggs building on the southeast corner of Hanover and South Fourth Streets. ?The Martins Ferry Fire Department was assisted by seven other fire departments that night, as the fire raged out of control for over six hours and into Friday morning. ?One of the first arriving units on the scene that night was the Ladder Company’s aerial platform. ?While the truck was being set up to battle the blaze, the 55 year old Gibson climbed onto the aerial platform and moments later suffered a massive, fatal heart attack. ?Harold ‘Hoot’ Gibson is the only Martins Ferry Volunteer Fire Fighter to date who has given his life in the line of duty. Bill Grammer was a common man who loved the outdoors, hunting and fishing in his spare time from the steel mill and his family. Yet he gladly answered the need for healthy summer sports for the children of Martins Ferry and Belmont County. Bill started and organized the Martins Ferry Summer Swim Team and served as long time head coach. In addition, he helped form the Belmont County Swim League and helped teams organize and involve children from 5 to 18 years of age. He was a positive influence and role model for thousands of children in the community, teaching them to swim, the basic stroke techniques, turns, diving, and more. The teams of boys and girls produced numerous league championships under his direction and are still competitive today thanks to the hard work of ?Mr. Grammer?. 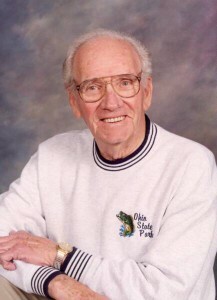 John G. Kramer DDS was born on February 1, 1930 in Martins Ferry, the son of German immigrants. He was a dentist, banker, health care executive, and community leader. He attended Martins Ferry Public Schools, received his undergraduate degree from Washington and Jefferson College, and received his Doctorate of Dental Surgery from The Ohio State University. Dr. Kramer has served as chairman of Peoples Bank, Finance Ohio, Med Ohio, Oglebay Institute, and the Ohio section of the American College of Dentists. He served two terms as Chief of Staff at East Ohio Regional Hospital and is Emeritus Chairman of The Ohio State University Medical Center Board of Trustees. He has also served on the boards of HB&W Inc., Security National Trust, and the OVMC Foundation. Dr. Kramer?s many honors from The Ohio State University include The Ohio State University Alumni Mershon Award in 1990, The Distinguished Service Award in 1993, and the 1996 Most Distinguished Alumni Award. 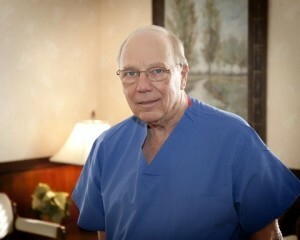 Also in 1996, Dr. Kramer was named Ohio?s Most Distinguished Dentist by the Ohio Dental Association. Dr. Kramer?s family includes his wife Pat Nauman Kramer, four children, and seven grandchildren. Joseph J. Weiskircher, born in Germany in 1882, emigrated to the United States at the age of 9. He moved to Martins Ferry in 1914 with his wife Mary Ann (Roos) and six children. Joseph purchased The Ohio Valley Dairy and with hard work turned it into a thriving business. Joseph J. Weiskircher was a civic leader, a generous friend, and an entrepreneur whose life left a lasting impression on Martins Ferry. remember and forever miss his ready cheer, and his outstretched helpful hand. ?